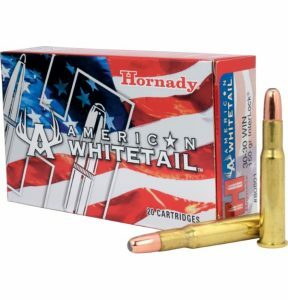 Top 5 Deer Hunting Rounds - Is Your Rifle One Of The Best Hunting Rifle Calibers?? Its that time of year again, with deer season is right upon us. 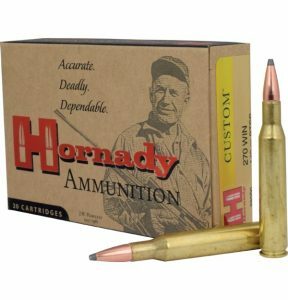 We thought that because we are entering into yet another deer season it would be a good idea to talk about the best hunting rifle caliber and ammo for deer hunting. The mule deer, along with his cousin the whitetail deer, account for a healthy amount of our North American big game hunting. In pursuit of these deer, each year thousands of products, from blinds, scents, camouflage clothing, and rifles are produced for and sold to hunters like you and me throughout the United States. For those of us who choose to pursue deer with a rifle, choosing the best caliber is an essential step, as we rely so heavily on this piece of gear to get the job done. There are all sorts of rounds you can use for deer hunting but these are what we believe to be the top 5. 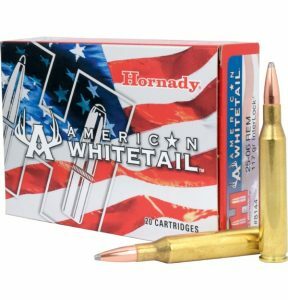 As a disclaimer, I have selected these as the top 5 rounds for shooting deer not because they necessarily are the best, but because they tend to be the most popular rounds out there and they definitely get the job done. 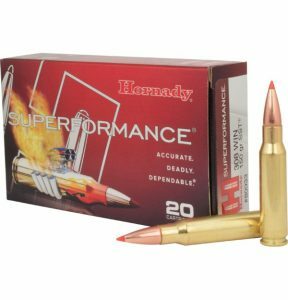 # 1 – .308 Winchester. So we are going to start off with the 308 Winchester. The 308 Winchester is probably the most popular of all the rounds I am about to list today. It is definitely one of the most versatile, as you can get it in a bolt action or an AR.All sorts of guns will fit the 308. The 308 Winchester is about 155 – 210 gr traveling at about 2900 FPS (feet per second) Giving it only about a 56-inch drop in 500 yards. The 30-06 Springfield is a 165 gn bullet traveling at about 2800 FPS(feet per second) And Is traveling a little bit slower but shoots a little bit flatter and drops about 55 inches per 500 yards. So the 30-06 is very similar in ballistics to the 308 and there’s only really about an inch difference at 500 feet with these rounds. # 3. – .270 Winchester. 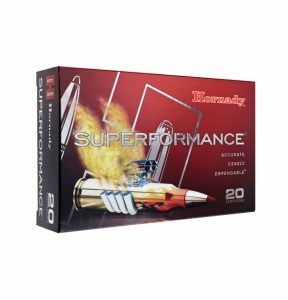 The 270 Winchester is 130 gr bullet on average traveling at 3060 FPS (feet per second) making it one of the fastest rounds on the list today. It is an incredibly flat flying round and at 500 yards only drops 50 inches and shoots flatter than both the .308 or the 30-06. # 4. – .30-30 Winchester. I had to put the .30-30 On the list because it has to be the most used deer hunting round out there. Of all the rounds on the list, this is probably the most used of all time. The .30-30 is not as great as the other rounds but it is a very historic round and has put a lot of deer meat on the table. 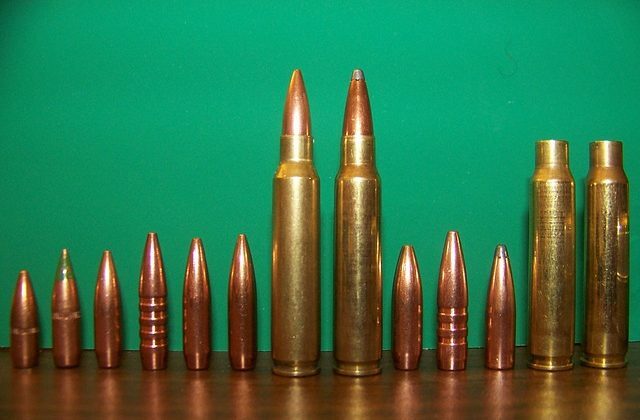 The .30-30 is about 150-grain bullet traveling at 2390 FPS(feet per second). The main problem I have with the .30-30 is at 500 yards you’re getting about a 120-inch drop. Making it the least flat shooting round on the list. Number five in the list is one of my favourites the .25.06 We like this round quite a bit because it comes in a lot smaller than the others coming in at 85 to 115 -grain traveling at 3000 FPS (feet per second) and this is the flattest flying round of all of these dropping only 30 inches at 500 yards.